After more than a decade of running his own charters off the southern coast of North Carolina, Capt. Tom Roller’s racked up a lot of fish tales. In return, they get to know the salty waters Roller grew up falling in love with. They get to understand why you can visit North Carolina and, instead of heading 60 miles off-shore toward the Gulf Stream, hunting out the big-game sport fish the Mid-Atlantic Fishery Management Council’s southernmost state is largely known for, they learn about fishing near-shore, in-shore and along marshy flats. While Roller never promises a big catch or perfect weather, most also walk away with incredible memories. A licensed U.S. Coast Guard captain, Roller rolled out WaterDog Guide Service after college in 2002. He offers fishing charters and tours throughout North Carolina’s Crystal Coast – from Beaufort and Morehead City to Atlantic Beach, Pine Knoll Shores and Emerald Isle. Roller isn’t technically from the coast, having moved around a lot as a kid. When it came time to pick a place to start his own life, his own family, Roller made his way back to North Carolina, where, today, he lives within 200 yards of the water and spends every day on it. His feature? Promoting and educating his clients on the fun and intensity you can have with light-tackle and fly-fishing. Asked if Roller has a favorite fish to hunt? Roller’s equipment, and tactics, easily vary each trip – likely one of the reasons he can boast multiple citation catches. Roller has a good reputation for working with children, and an even better reputation for working with fathers. Roller has helped fathers throughout the years understand why fighting a good Blue Fish could make a stronger memory for a youngster than searching out that 300-pounder. Blue Fish jump three feet in the air, Roller said. They pull on the line. And when you’re back at the dock, they are among Roller’s favorite fish to eat. Greenberg may have written that passage specifically about Blue Fish, Roller said, but that philosophy is an admirable mantra to live by for all species. Posted in Recreational and tagged with Tom Roller. Each summer in Virginia Beach, Virginia, Capt. Skip Feller watches as adults and children see the ocean for the first time, drop lines into the deep sea and near-shore waters, feel rolling waves and reel in salt-water fish. Feller, who hails from of a well-known Virginia fishing family, is a third generation charter boat captain. Among other accomplishments, he set the 2008 world record for yellow edge grouper and in 1992 was named Charter Boat Captain of the Year. Today, he manages the fleet of head boats and captains that run out of Virginia Beach’s Rudee Inlet. Feller earned his U.S. Coast Guard’s 100-ton captain’s license when he was 19. He sold the business in 2006. Today, Feller manages the legacy his father built – a legacy fleet of three fishing boats, like the 90-foot Rudee Angler licensed for 140 people, and three cruise boats, like the Rudee Flipper, used for dolphin and whale watching trips. By the numbers, cruising the waters off the coast of Virginia is the most popular excursion Feller manages. Each summer, on the Rudee Rocket speedboat alone, Feller and his captains takes out more than 20,000 guests. 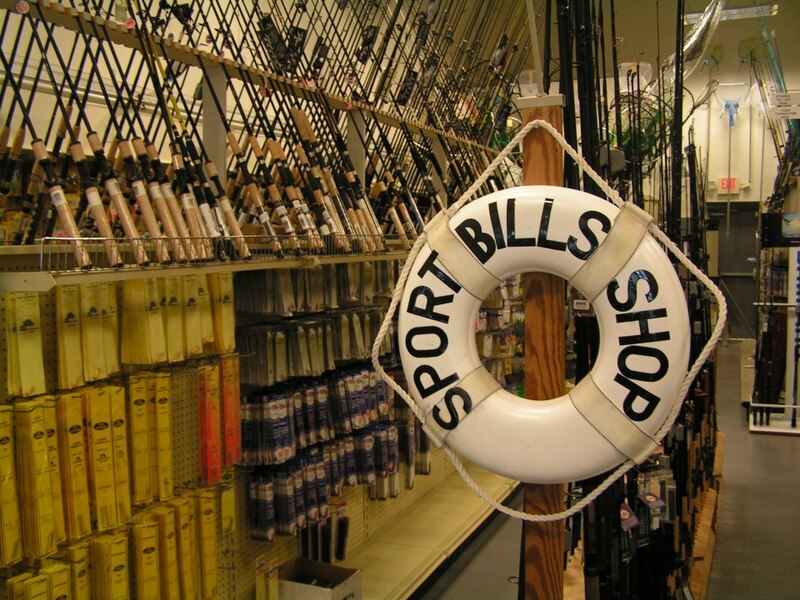 But fishing is no small business. Each year, Feller averages about 10,000 people on charter fishing trips that range from 16-hour day trips to 36-hour overnight adventures. While Feller prides the fleet on keeping up with the latest technologies on all the boats, especially the fish finding gear, the most important piece of equipment, by far, are the captains, Feller said. The fishing community may seem really large, but when it comes to word of mouth marketing, it’s actually quite small. Unlike the guests he takes out fishing, Feller doesn’t always remember the fish he’s caught. Over the years, there’s easily been thousands. What he never forgets are the moments he stumbles upon a previously undiscovered sea wreck, marking a brand new fishing spot. Like his father, Feller has already passed on the family tradition of loving and working with people on the water. Wes Feller, Skip’s son, marks the fourth generation of Feller captains that’s runs charters out of Rudee Inlet. Posted in Recreational and tagged with Skip Feller. There’s no doubt about it. Being a charter boat captain in Montauk, New York – dubbed the fishing capital of the Northeast, if not the world – is a competitive sport. Not only do you go head to head with Mother Nature in hopes of bringing home an exciting catch, but you also compete with fellow captains for clients. Years ago, all the “charter boats in Montauk were right here,” said Rick Etzel, nodding to a line of charter boats that includes his 43-foot Torres sport fisher, the Breakaway. Captains are also challenged by the reality of running a business that includes the hard costs of fuel, dock fees, maintenance and repairs and a boat. Etzel, a respected U.S. Coast Guard licensed captain in the recreational Montauk fishing community, is also the president of the Montauk Boatmen, Inc. where he works to help enhance the quality of the fisheries not just in Montauk, but also the entire state of New York. He’s respected as a fisherman and for his history and love of his fishing community. After graduating high school in another area of Long Island, Etzel moved to Montauk and worked in the fishing industry. At 22, Etzel bought his first boat. Today, Etzel logs between 200 and 250 charter fishing trips each year. Half day trips run about $650, with full day trips ranging from $1050 to $1400, depending on how far off shore the fishing goes. To make up income during slow periods, Etzel does a little commercial fishing with his rod and reel and sells his catch to wholesale fish dealers. Somewhere in the mix, Etzel also does his volunteer work with Montauk Boatmen, Inc. The importance of getting involved in the legislative side of commercial and recreational fishing can’t be understated, Etzel said. Like most fishing towns throughout the Mid-Atlantic Fishery Management Council’s region, fishing in Montauk has an incredible economic multiplier effect. Posted in Recreational and tagged with Rick Etzell. Can’t get in touch with Jim Winn in New Jersey? As soon as his voicemail message turns on, you know exactly why. Winn, a volunteer with the Recreational Fishing Alliance of New Jersey and avid, lifelong fisherman, retired from a career in sales and now spends two to four days a week on the water. If he’s not on the water himself, he’s probably with his grandson, who he taught to fish, or volunteering with the Alliance, because he’s determined to help protect the sport of recreational fishing. Many of the fish end up back in the water after Winn’s reeled them in. That’s why Winn calls his work with the Alliance so important. Posted in Recreational and tagged with Jim Winn. It’s not that Frank Watkins believes that fishing has healing powers, or that reeling in a big sport fish off the coast of Ocean City, Maryland makes children with terminal illnesses forget about their own internal fight. Watkins is a lifelong sports fisherman and the President of the Atlantic Coast Chapter of the Maryland Saltwater Sportfishing Association. He also gets to work with children a lot more, teaching them how to fish, and volunteering with the association, where “we provide education and help improve the environmental habitat for fishing. It’s all so we have fishing – recreational fishing – available for our children and grandchildren. The association also works with local environmental groups to build mad made reefs off the coast of Maryland. It may sound like a lot of work, Watkins said. But it’s important work. Posted in Recreational and tagged with Frank Watkins, Maryland.